Vehicle to be offered for Auction sale August 16th- 18th, 2012 at Russo and Steele\’s 12th Annual Monterey California Auction. Please contact us for more information. 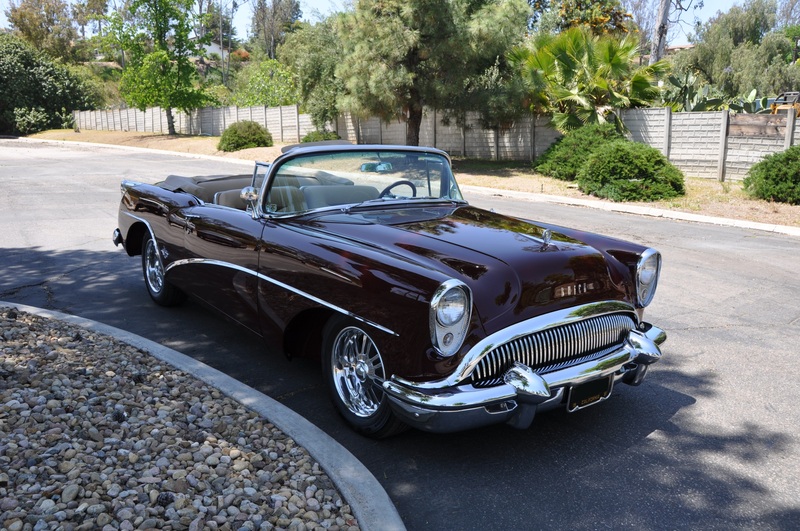 One of 836 1954 Buick Skylark\’s produced. 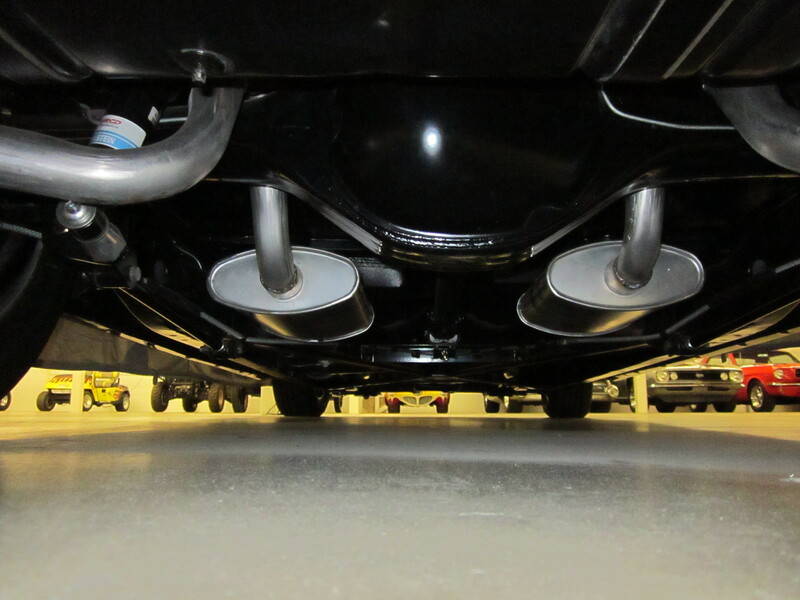 Complete rotisserie ground up restoration done. 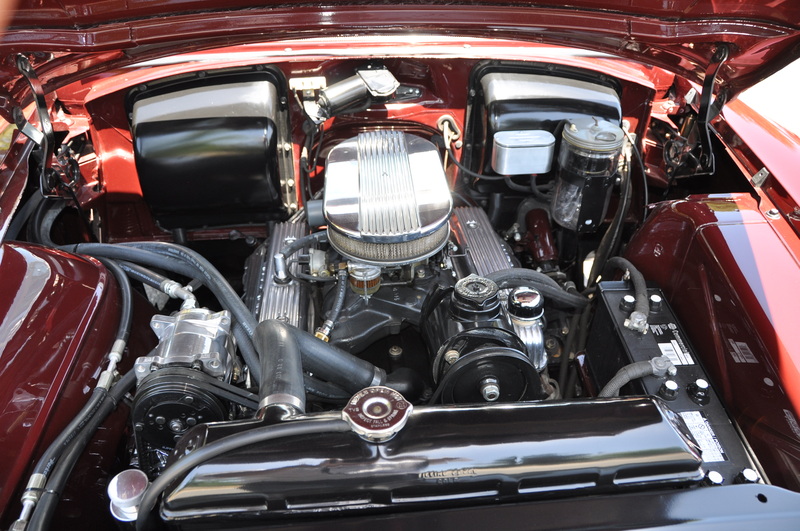 Later model 401 Buick \”nailhead\” motor coupled to a turbo 400 transmission that connects to a 4 linked Buick differential. Good year 225/60/17, front and 235/65/17 tires mounted on Budnik aluminum wheels. 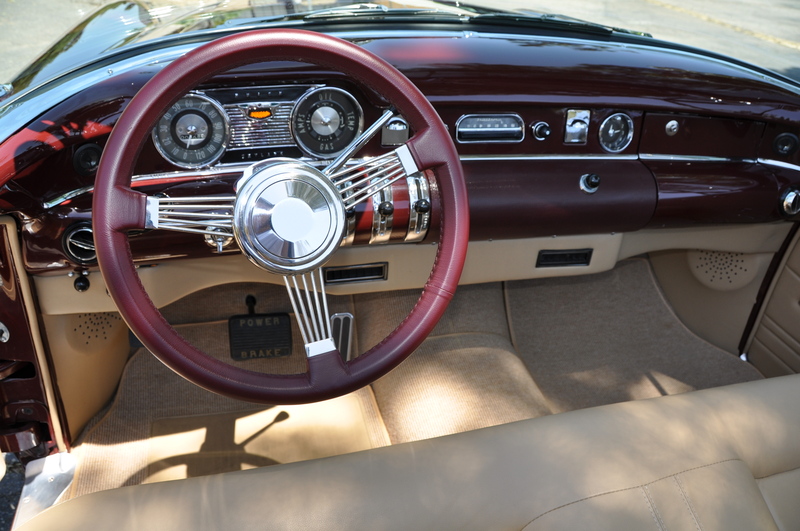 Gorgeous, tastefully done tan and Burgundy interior as well as the entire truck area works in concert with the Burgundy paint used inside and outside of this Skylark. Vintage air conditioning, Pioneer Satellite radio hidden in the dash so as to not take away from the original dash board looks when not in use. 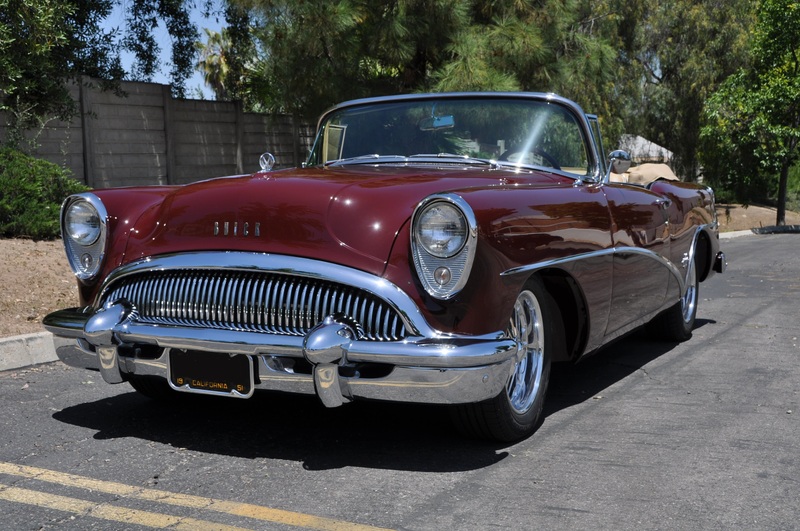 Shortened rear springs and dropped spindles in the front give this Skylark a stance that is low and sleek ! 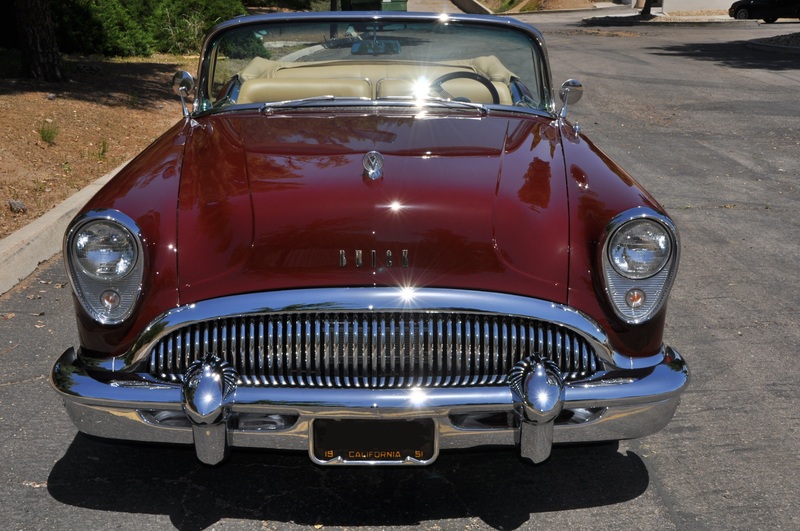 All Skylarks came with power seats, power windows, power convertible top and power steering. A shortened ratio power steering box, combined with all the other updated modern drive train enhancements make this Skylark look and drive like a dream. The tasteful body lines of this Skylark are in keeping with the original design.